The Wensleydale Creamery, main sponsor of the Dales Festival of Food & Drink, is inviting visitors to the Dales Festival of Food & Drink to come along and name its new cheese, which it will be launching at the festival. A creamy, mellow, russet coloured blue cheese, full of character, which is handcrafted at The Wensleydale Creamery using milk from local farms, will be available for visitors to sample at the festival. 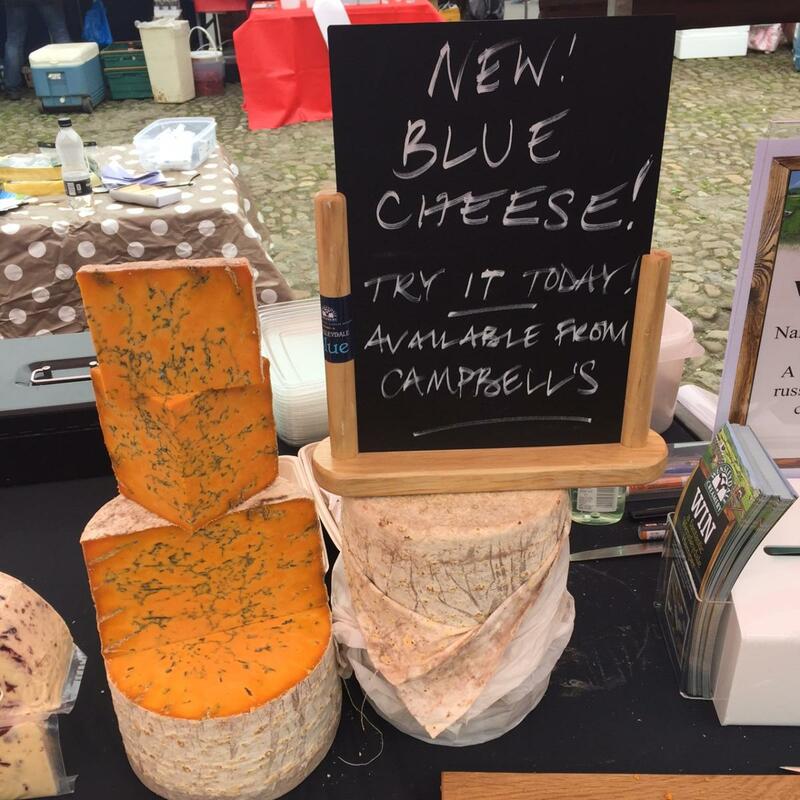 The new blue cheese will be available for sale in Campbell’s, along with the Creamery’s range of handcrafted cheeses and Yorkshire Yogurt. Those wishing to name the new cheese will be entered into a prize draw to win a hamper, packed with the Creamery’s finest cheeses and delicious accompaniments. Be sure to stop by and enjoy a taste of Yorkshire! We visited the Creamery a few weeks ago and I have just finished the last of the cheeses I bought. I liked your new blue – provisionally named “Dalesman” – but have just had a flash of inspiration- What about “Thursleydale” from Wensleydale- because it’s the cheese of tomorrow! Hi Stuart, thank you so much for your suggestion – we’ll add it to the list! loved the Dalesman Blue when we tried it at the Creamerie, as we had a long drive and had no way to cool it we thought we would order online when we got home. Cant find it on the website ! aaargh ! Can you tell me how we can order it please ???? Hi Paul, the cheese has now officially launched and so will become available at more outlets! It is now named Blue 16. To begin with you will most likely find it in independent retailers, farm shops & delis – but as we supply wholesalers rather than individual businesses we are unable to confirm exactly where. The cheese should also be available on our website in the new year.